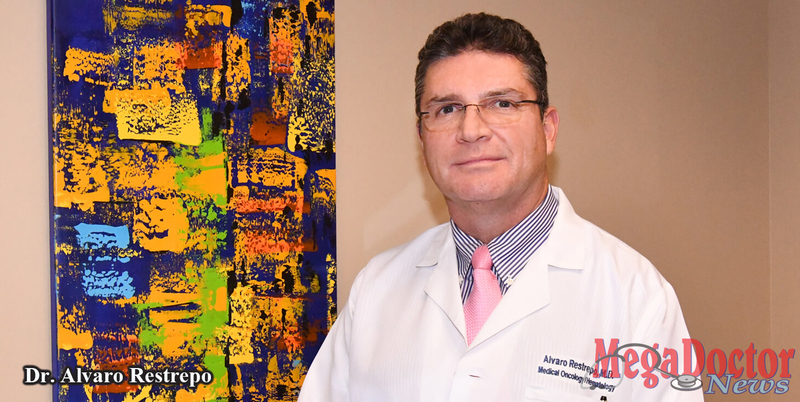 For more than two decades, Dr. Alvaro Restrepo, an oncologist, hematologist, and research Director for Texas Oncology RGV, has kept up a fierce fight against cancer. In the last eleven of those twenty years, Dr. Restrepo has worked with Texas Oncology RGV to organize an annual event to bring awareness to the fight against breast cancer. The annual awareness event includes walk, run, and bike-ride activities every year without fail. This year’s 11th Annual Breast Cancer Awareness event, which takes place on October 6, 2018, will bring together hundreds of participants from throughout the community. This will include cyclists, runners, and walkers of all ages unified with the same goal in mind of defeating cancer. Mega Doctor News had a good conversation with Dr. Restrepo, he is such a dedicated oncologist/ hematologist. He said that breast cancer statistics have remained the same in the Valley, at least, over the last couple of years. However, what had been decreasing was the mortality rate due to better awareness and better treatments. The incidence rate of breast cancer in the Valley is less than the average in the rest of the state and the nation, according to the Texas Department of State Health Services. He added, “But what we see is a more advanced diagnosis at the time the tumor is found.” Dr. Restrepo emphasizes that thanks to better treatment, survival had been improving over the last twenty years. Having the opportunity to talk to Dr. Restrepo, an oncologist considered a respected authority in his field, it was important to ask, how early in life should someone get checked? He said, “It depends. For somebody without a family history, the recommendation is to start at least at age 40.” He continued, “The recommendation, at least, is to have a first clinical evaluation and sometimes a baseline mammogram. And depending on the risk factors of that patient, that can be once a year or every two years, or with some patients, to wait until age 50 to be checked on a regular yearly basis with mammograms.” He pointed out that the recommendation is for patients after age 21 to visit their physician at least once a year. He said that in their clinic, they see at least two or three cases per year of men with breast cancer. He explained that the ratio compared to women is like one in a hundred is an approximation response to breast cancer in men. Dr. Restrepo reminds everyone that in breast cancer the earlier the diagnosis, the better the prognosis. As an oncologist, he is also recognized as one who highlights cancer prevention. Or like he simply says, “One of the important things in prevention is to try to avoid the risk factor.” One of the most common problems is the use of hormone replacement therapy, which is a known risk factor for breast cancer and should be avoided. Dr. Restrepo said that for patients who have like a non-predisposition mutation or the BRCA1 or BRCA2 genes, then there are several medications that can be used for prevention. The use of the medication Tamoxifen decreases the risk of breast cancer by 50%. Also, a drug used for osteoporosis called Raloxifene will also decrease the risk of breast cancer. Now there are some other studies with drugs that are called aromatase inhibitors that will also limit the risk of breast cancer. Texas Oncology RGV is known to work closely with the community throughout conferences or resources available to the community for breast cancer prevention. Dr. Restrepo said, “We have an education and information meeting once a month called “Pink Positive”. Patients and survivors take part in these meetings.” On Texas Oncology’s website, they have other resources for the patient on prevention and early diagnosis, which is key for a better prognosis. In simple words, it is important to know and remember that no two breast cancer patients—or their tumors—are alike. The good news in this field is that in the last twenty years the life expectancy has almost doubled. He says it is thanks to better treatment, especially for metastatic disease. “The chance of a cure has significantly increased especially because of an earlier diagnosis. Again, there’s a direct correlation between the earlier the diagnosis, the better the outcome,” he said. On chemotherapy, Dr. Restrepo says that oncologists use Oncotype DX that can help determine if a patient will benefit or not from chemotherapy. Community Celebration, including activities, music, food, and refreshments. During the previous ten years Cancer Survivors, who qualify for financial assistance, have received over $150,000 in support of personal/family living expenses. In addition, over $250,000 has helped our Rio Grande Valley community through financial support of Comfort House Services, Inc.; Pink Positive Breast Cancer Foundation; and Infinite Love Foundation. For information call 956-454-1168. Dr. Restrepo received a medical degree from Instituto de Ciencias de la Salud, in Medellin, Antioquia, in 1987. He completed an internship and residency in 1993 at the University of Miami Hospital and Clinics, in Miami, Florida. In 1997, Dr. Restrepo completed a fellowship in hematology/oncology at the same University of Miami Hospital and Clinics. Dr. Restrepo received the Biopsychosocial Research Program, see Grand Award in 1997; Best Fellow of the Year Ortho Biotec Award in 1997; Certificate of Recognition for the Amegan Oncology Fellowship, 1996-1997; and was elected Fellow of the Year, 1995-1996 at Jackson Memorial Hospital. He is a member of the American Medical Association. We feature articles about leading professionals in the medical and healthcare industry in the South Texas area. 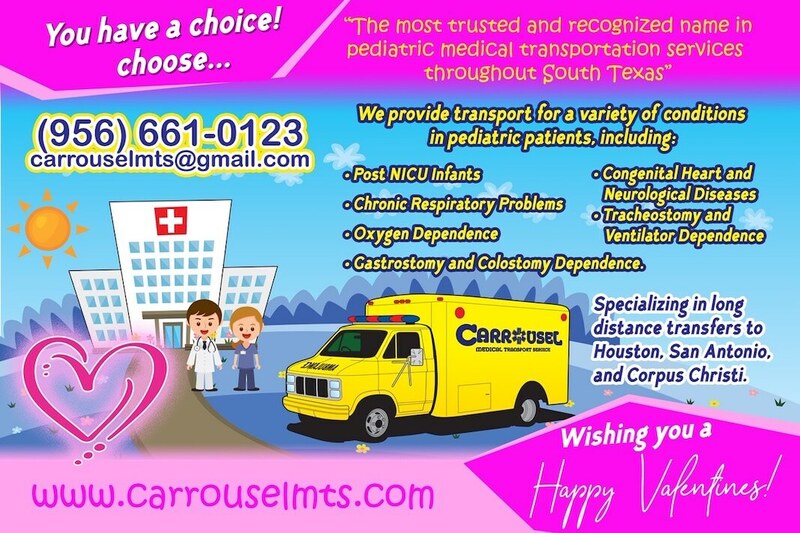 We are your connection to the medical community! – Pick up a copy of our publication on more than 800 locations Valley-wide.